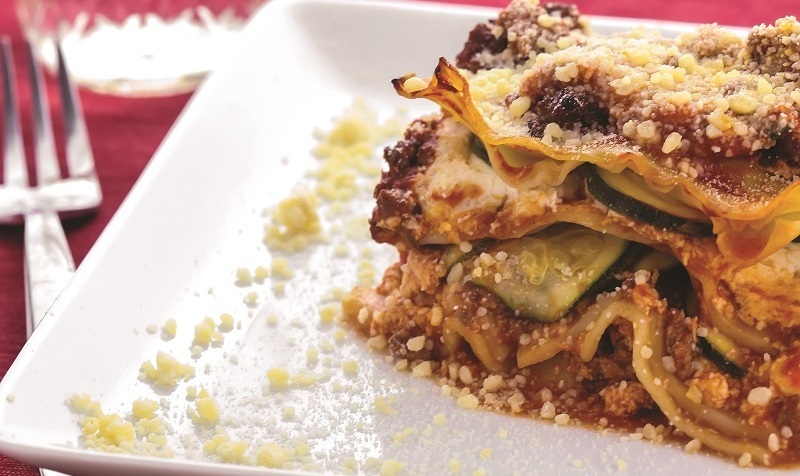 Lasagna’s roots go back to the days of ancient Greece, and thanks to the Romans, it has remained one of the most celebrated Italian dishes for centuries. This recipe, which is from my cookbook, The Shredded Chef, was pieced together from many others I’ve tried and liked. I think it’s the perfect balance of sauce, beef, and cheesiness, without a obscene amount of calories. Enjoy! Heat oil in a large nonstick skillet over medium-high heat. Add the ground beef, onion, oregano, and pepper. Stir while breaking apart the beef, for about 6 – 8 minutes, or until the beef is fully cooked. Stir in the tomato sauce and bring to a boil, then remove from the heat. In a bowl, mix the ricotta and Parmesan. 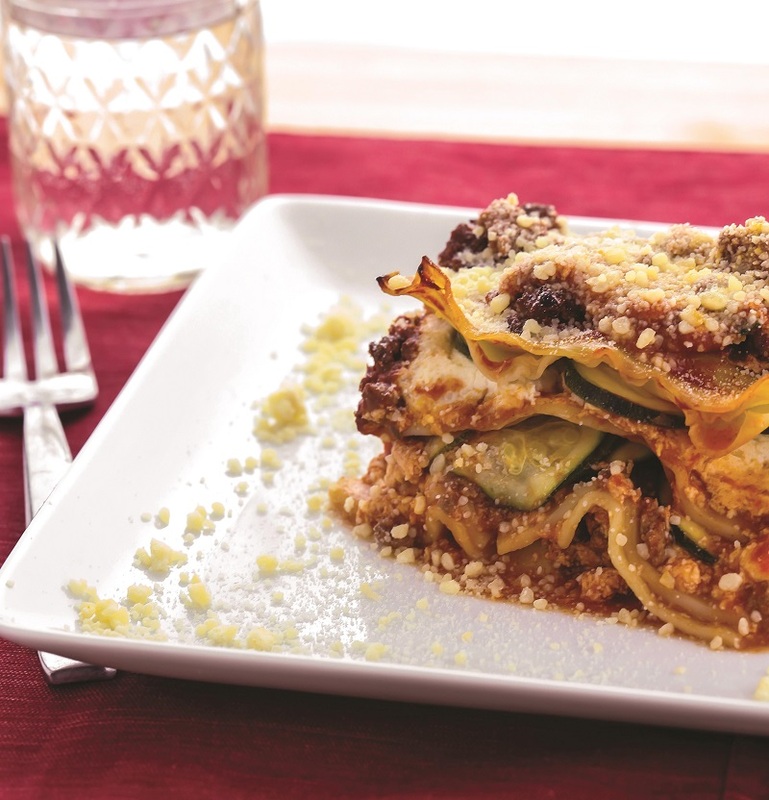 Now, to build the lasagna, take a 9 x 5 inch baking dish and begin by layering 1/2 cup of the sauce, 2 of the noodles, 1/2 cup of the cheese mix, another 1/2 cup of the sauce, and 1/2 of the zucchini. Add the next 2 noodles and repeat 1/2 cup of cheese, 1/2 cup of sauce, and 1/2 of the zucchini. Finish by topping the zucchini with the remaining 1/2 cup of sauce and 2 noodles.